China is a fascinating place, with a storied history culminating in its emergence as an economic superpower. China is filled with sites that offer glimpses into the transformation of a country that has become the most talked about nation in the world today. China is a fascinating place, with a storied history culminating in its emergence as an economic superpower. 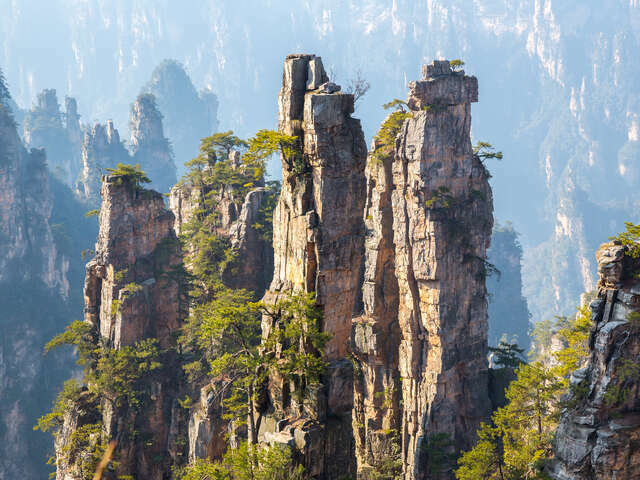 China is a place filled with sites that offer glimpses into the transformation of a country that has become the most talked about nation in the world today. Here are seven of the best of these sites that you must see on your trip. 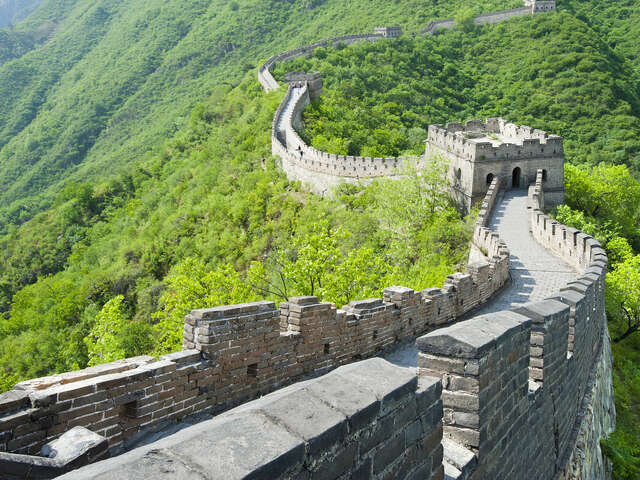 The Great Wall of China is actually a combination of several walls, construction of which actually began in the seventh century BCE. Over the centuries the wall has served many purposes, but was primarily used for border control and as protection against invasions from Mongolia and the north. At 8,850km (5,500 mi), it is the largest man-made structure in history. Today, much of the wall has been renovated and reconstructed from centuries of damage, and continues to be preserved for tourist purposes. Tiananmen Square is visited by swarms of both locals and tourists daily. Tiananmen Square is a city square in the centre of Beijing and past host to several significant events in China’s history such as the 1949 proclamation of the People’s Republic of China by Chairman Mao, and the Tiananmen Square massacre of 1989. Within the square are several famous sites, including the Monument to the People’s Heroes – a 10-storey obelisk built for those who died during China’s revolutionary struggles, the National Museum of China and the Mao Mausoleum – the memorial hall and final resting place of Mao Zedong. 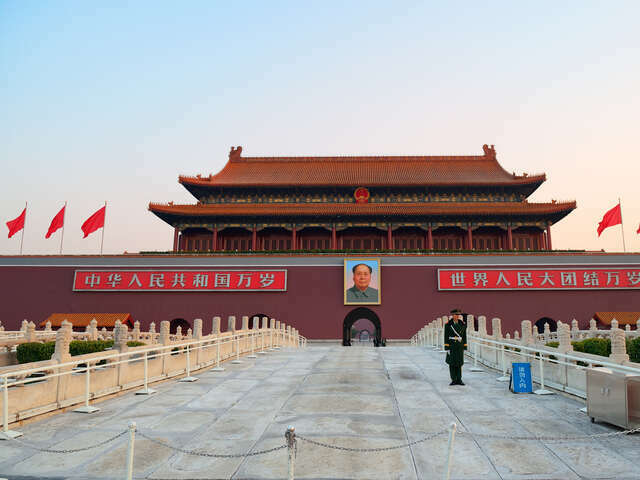 One of the grandest public squares in the world, Tiananmen is visited by swarms of both locals and tourists daily, many to witness the flag-raising ceremony which occurs each morning any time between 4:30am and 7:30am (depending on the time of year). 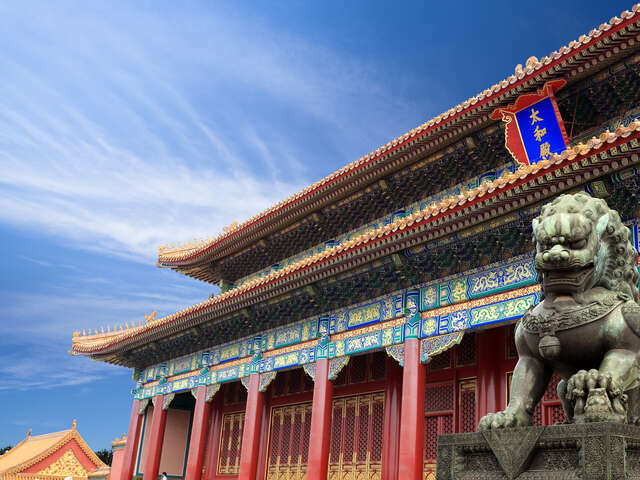 Situated of the north side of Tiananmen Square is the Palace Museum, or Forbidden City. It is the world’s largest palace complex, and served as the home of China’s emperors during the Ming and Qing Dynasties. Here, 900 buildings house over 8,000 rooms, all contained within a 26-foot-high wall and a 170-foot-wide moat. Today, the complex is open for viewing by tourists and will easily take a full day to explore and appreciate. The construction is a showcase of Chinese architecture, and a good tour guide is recommended to truly understand the ingenuity of the design and materials used in its construction. 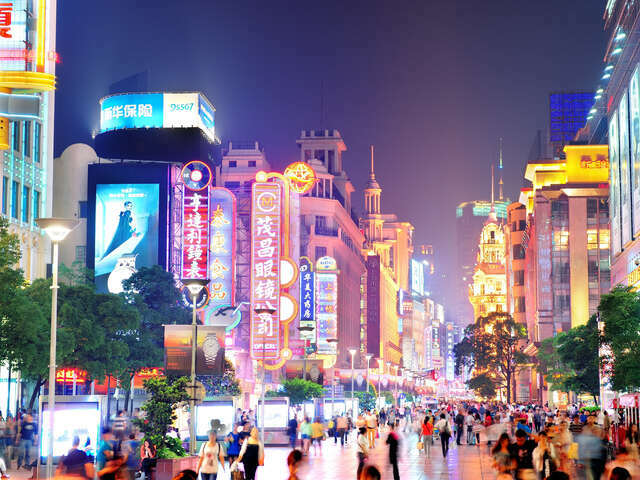 Nanjing Road is a shopping street that runs through the city of Shanghai. Extending from the city’s famous Bund waterfront on the east, to the iconic Jing’an district in the west, Nanjing sees over one million visitors daily and is the longest shopping street in the world, hosting nearly every type of international restaurant, luxury brand and top-tier hotel. The street is typically busy at all hours but especially comes to life at night, when people come out to shop, eat, or simply enjoy the walk among the vendors, musicians and lights. Seeing the giant pandas is one of the main reasons people come to the city of Chengdu (as well as for the famous spicy food, of course!). 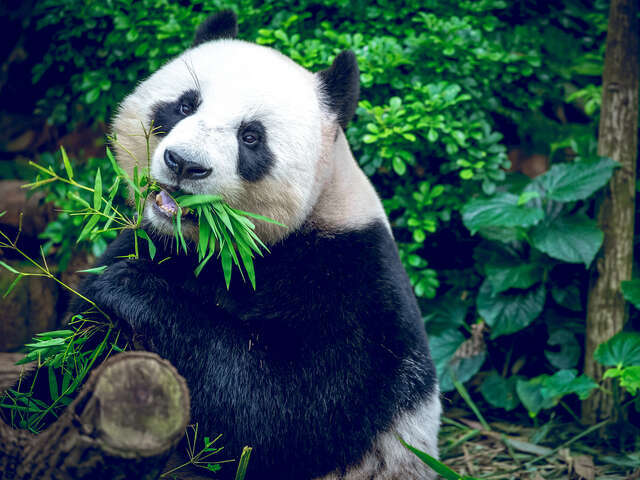 Here, the Chengdu Panda Base aims to recreate this endangered creature’s natural habitat in order to preserve the livelihood of what is considered one of China’s national treasures. Animal lovers will adore it here as it’s one of the few places you can see (and hold!) the endangered animal. Along with the research and breeding facility is the Giant Panda Museum, which aims to educate tourists about the animal, its history and its conservation. Throughout your visit to China you’ll find the panda has an important place in Chinese culture, and is used often as a symbol of peace and friendship. The Terracotta Warriors in the city of Xi’an, are a collection of sculptures built for the funeral of China’s first emperor, Qin Shi Huang. Constructed in the third century BCE, the 9,000 sculptures (soldiers, chariots, horses and non-military figures) were built to be buried along with the emperor in his tomb, in order to protect him as he passed into the next life. It wasn’t until the 1970s when farmers discovered artifacts from the tomb while digging a well, leading to one of the most significant archaeological discoveries and excavations in human history. Today, the mausoleum is a UNESCO World Heritage Site. Whatever you see when you go to China will make for an amazing journey. Experiencing some of these world-famous sites yourself - it will go a long way in reminding you why they’re so famous to begin with.